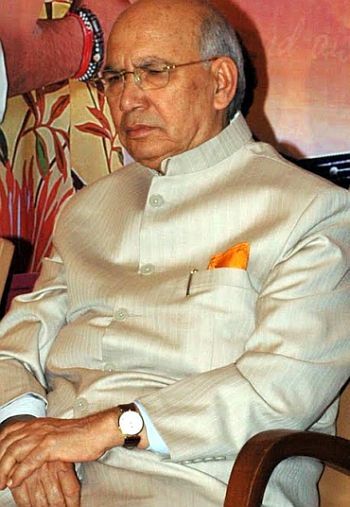 Rediff.com » News » Debate: Was K'taka Governor H R Bhardwaj right? 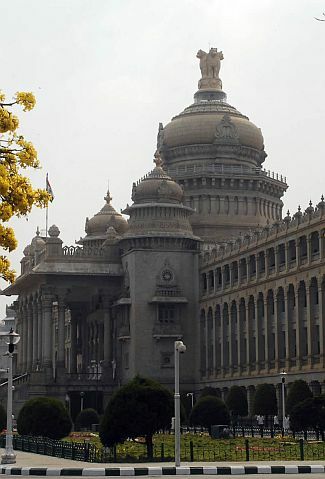 As Karnataka plunged into another political crisis, a debate is on questioning the actions of Karnataka Governor H R Bhardwaj who recommended President's rule in the state late Sunday night. "First and foremost the report of the governor is a mere speculation. None of us know for sure what he has written in his letter of recommendation. Looking at the manner in which Karnataka has been governed in the past couple of years, I say that this is a fit case to invoke President's rule in the state. Many speak today about the order of the Supreme Court, which reversed the order of the speaker disqualifying the 11 rebel BJP MLAs. However, look at the Yeddyurappa government and its functioning in the past couple of months. Corruption, scandals and everyone does remember the manner in which they conducted the trust vote the last time. "You must also remember the Operation Lotus that they conducted to win over some MLAs from other parties. It becomes clear that he has had no regard for the provisions of the anti-defection law and this amounts to a breakdown of Constitution. All this just makes one thing clear and that is Yeddyurappa does not want to govern but only wants to protect his chair. The governor has in the past written several letters to the chief minister reminding him about the state of affairs. 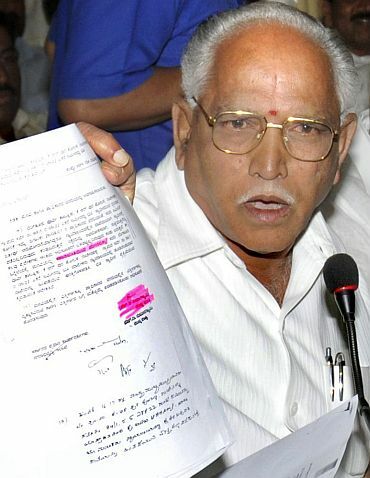 Has Yeddyurappa changed after these letters? The governor has always had a fit case to suggest imposition of President's rule in Karnataka and the recent Supreme Court verdict has only come to his rescue. I know a lot of people are speaking about the Bommai verdict in this context. How can this verdict apply in the instant case? The Bommai verdict does not say anything about a constitutional violation where as the current issue is centric only to that. The Bommai verdict only makes it clear that the strength of the government can be decided only on the floor of the house." "The Governor has no grounds to suggest imposition of President's rule in the state. The grounds are not sufficient. In his letter to the government of India he has gone on to make a series of allegations which range from corruption to horse trading. The issue of President's rule comes into play only when the government has lost support or is in minority. The BJP in Karnataka is not in a minority. In fact, the verdict of the Supreme Court clearly states that the 11 BJP MLAs are part of the government. The governor has adopted very flimsy grounds. If there is an issue with the numbers then he should convene a session and test the strength of the government. Here he does not even want that session to take place. Good governance is not the job of the governor. He cannot cite maladministration and he can use the President rule option only as a last resort. In this case where is the break down? "If he is speaking about the trust vote conducted a couple of months back then I feel that it is wrong. Not only in Karnataka, but MLAs fight in every assembly and that does not mean you go around dismissing the government. The governor also goes on to cite the issue of mining and corruption. 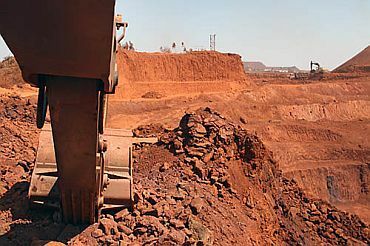 Where mining is concerned the state has imposed a ban on export and has also told the Supreme Court that it is committed to the cause of stopping illegal mining. Speaking about the corruption charges, then the matter is before the court and it is for the judiciary to decide on that and the governor cannot act suo motu on such an issue when the matter is pending before the court of law. One must remember that propriety is completely different when compared to statuatory action and the President's rule must be invoked only if there are proper and satisfactory grounds to do so."